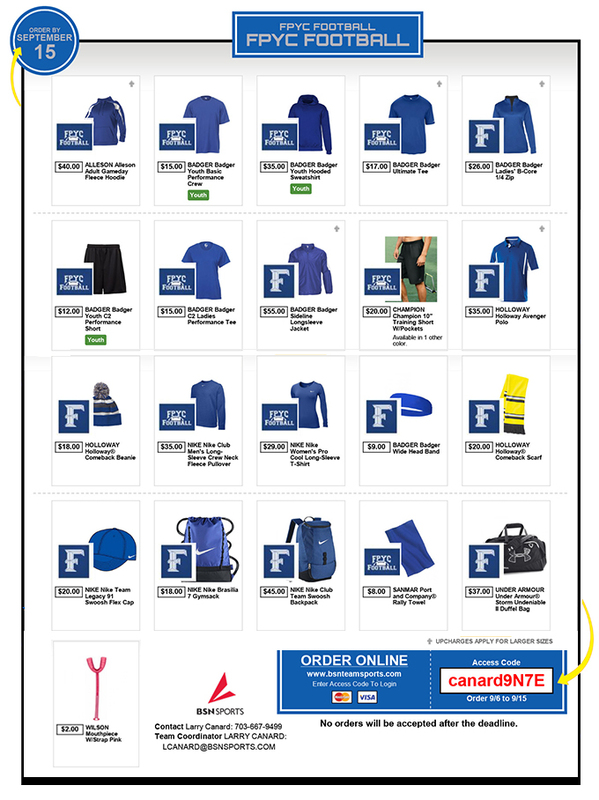 The FPYC Football Store will Re-Open in August 2018!!! Click on the “ORDER ONLINE” link below and use the access code provided. All payments must be made online. Items will be delivered to the Team Coordinators for distribution once they arrive.